Delicious this recipe from Manon from Vegan Flavors in which she has processed Greensweet Syrup Gold. Take a large pan and add some water or (coconut) oil. When the pan is warm, add the garlic and grated carrot. 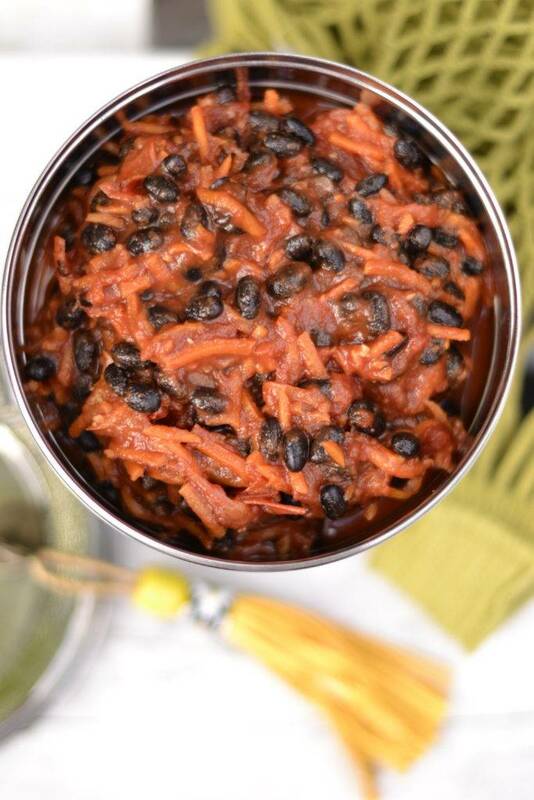 Add the black beans, canned peeled tomatoes, tomato paste and chili flakes to the pan. Stir well and let it simmer for a minute or 10-15 minutes. Is the sauce too thin? Then add a 1/2 el cornstarch or arrowroot. Stir in 1 tbsp greensweet syrup to the mixture and season to taste with salt and pepper.